The 3-step bond-building treatment – previously reserved for use in salon, but now readily available to buy online – is essentially like scaffolding for dry, brittle, over-processed hair. 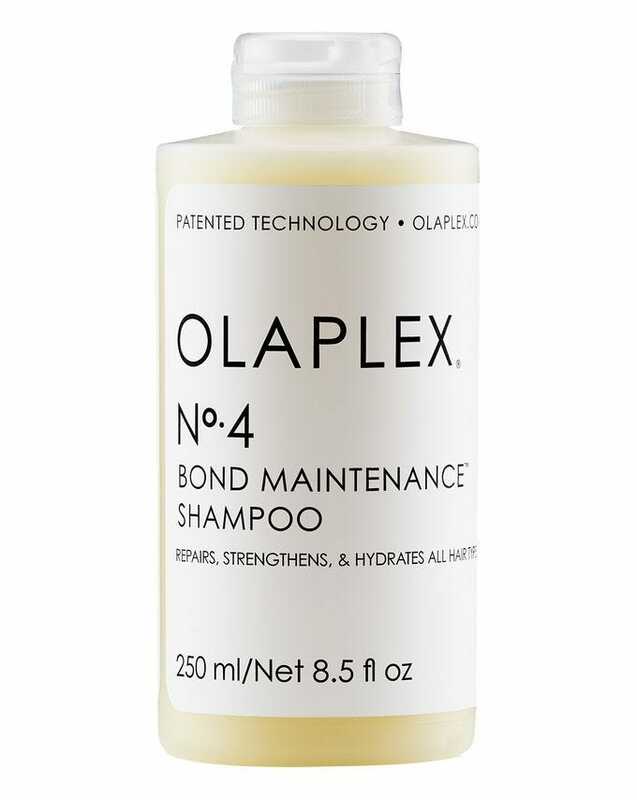 Olaplex have now launched a No.4 shampoo and No.5 conditioner which you can use at home. Molecules in both the Step 4 and Step 5 clever formula work to repair and regenerate strands which have been damaged by things like chemicals and intense heat, while providing an intense moisture surge in the process. The result? Hair that looks and feels strong, shiny and soft in little to no time at all, and a reason why hair experts all over the globe recommend it post-dye. But if you do dye your hair, factoring in extra treatments can be a bit of a faff, especially if your hair routine is more of a wash and go situation. The brains behind Olaplex don't want you to have to choose between an extra 10 minutes in bed and looking after your lengths, and have just launched a shampoo and conditioner, making the hero formula less of an add-on and more of a staple. And together, they're going to transform your hair. 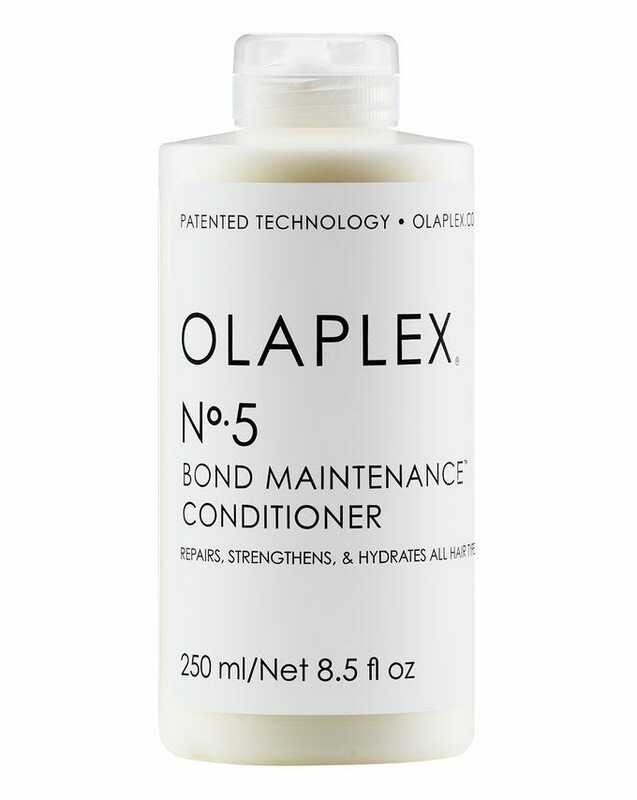 The Bond Maintenance Shampoo, £24, makes up step 4 of the Olaplex system, while the Bond Maintenance Conditioner, also £24, accounts for step 5. Both available on Cult Beauty . Sulphate-free (which means it won't strip colour or keratin-treated hair) as well as vegan-friendly, the shampoo works in the the same way as the treatment – by repairing and hydrating strands from the inside out – but it also cleanses from root to tip and imparts shine. Of course, if you colour your hair, it's not the best idea to use the shampoo (or any shampoo for that matter) on a daily basis – overdoing it will only fade your colour faster, and hair experts recommend washing your hair two to three times a week, max. You can delay the washes with a dry conditioning dry shampoo in-between washes. Infused with the same bond-building formula, the conditioner (which, like the Hair Perfector treatment, you do need to rinse out) helps reduce frizz as a result of broken hair strands and works to increase hydration levels without weighing hair down or making it feel greasy. If you're serious about maintaining your hair post-bleach, both products can be used alongside the treatment, but can also be used on their own. Our verdict? They might be a little pricier than your usual high-street shampoo and conditioner duo, but they're bound to save you lots of money in salon appointments in the long run. Here's the best salons to get your Olaplex treatments in London.